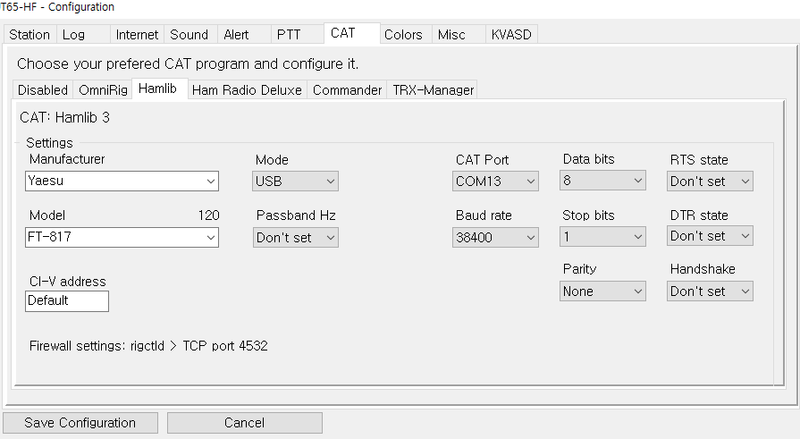 The JT-65 has been tested with the HB9HQX Edition, which is now in use. HB9HQX Edition will be updated fairly frequently. 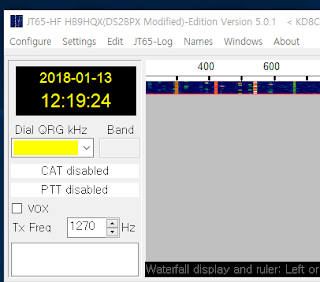 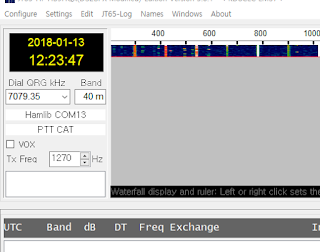 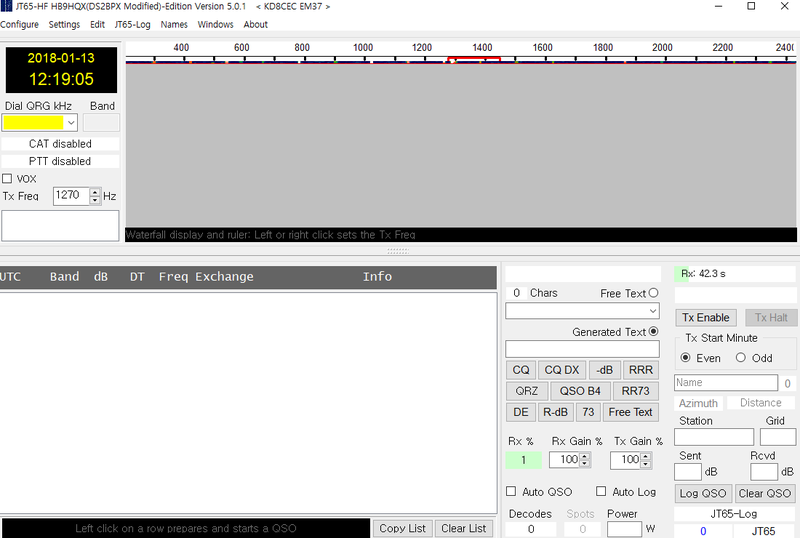 If you installed JT65-HF for the first time, the following screen will appear. 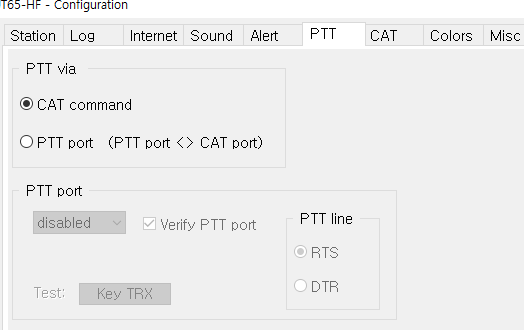 Select PTT tab and select CAT command. 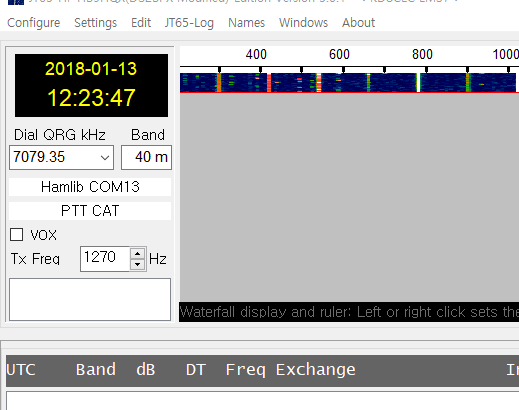 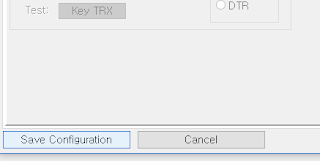 The frequency of uBITX will be displayed as below. 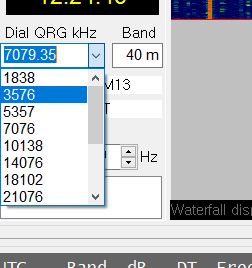 Change Band, The frequency of uBITX changes together. Due to the automatic log system, this feature is very convenient. 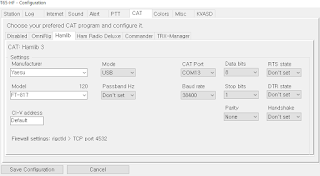 Press the 'TX Enable' button and after a while It will automatically switch to TX mode. 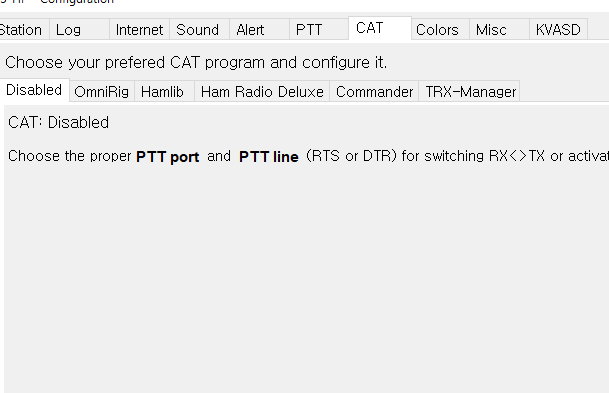 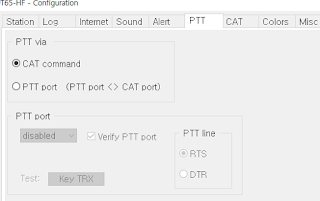 When all transmission is completed, it automatically switches to RX mode. 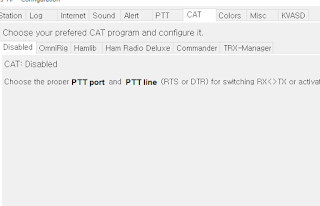 Now you can enjoy a comfortable ham life with uBITX.